Theresa's Mixed Nuts: 5 Days of Super Bowl Eats! 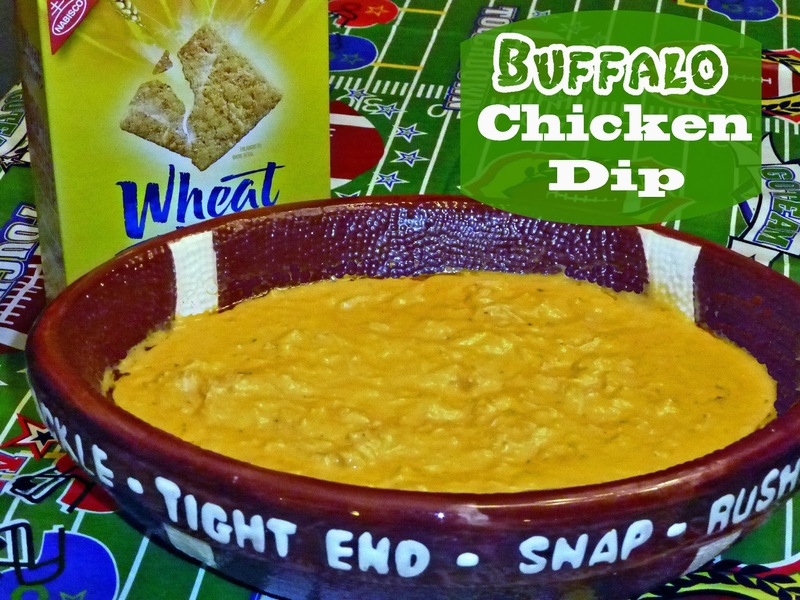 Buffalo Chicken Dip! 5 Days of Super Bowl Eats! Buffalo Chicken Dip! 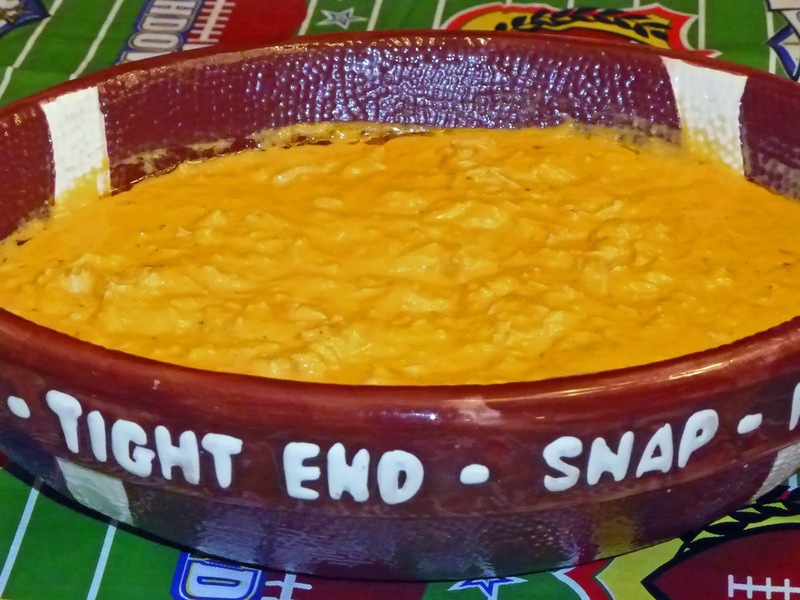 This is my favorite party dip, and is requested at every Super Bowl party we throw. It is so simple to make, and packs a huge punch of flavor! Mix buffalo sauce and ranch dressing together until combined. Add in chicken and cheddar. I am going to try this recipe... not right away but maybe in about a month. I will make it for our family cookoff. Bet they guys really like it. You are READY for that game! This looks so delicious! I love how spicy it would be!! The perfect treat for DH! I am a sucker for Buffalo Chicken! This looks so delicious! I make the same thing, only with Frank's Red Hot Sauce. Will have to try it with the Sweet Baby Rays Creamy Buffalo Sauce and see if I like it. I have that same football bowl on top of my microwave! I have made this before and it is definitely a crowd pleaser! This looks so good!!! The perfect game day snack! My son loves soccer and this would be the perfect Sunday snack to go with the hours he spends watching soccer! Looks super yum and easy peasy too! Thanks for sharing dear! It looks easy, tasty and good!